Disclaimer for the 500th time: T & T does NOT have the benefit of being IN the courtroom. T & T does NOT have official court transcript nor does T & T plan to purchase them. Sprocket reports/transcribes what she hears while in a room with poor audio and limited visuals. She does NOT have view of exhibits. She does NOT have a view of the gallery. We are NOT an official media source nor should we be held to those standards. We are a group of writers who enjoy observing and writing about the criminal justice system. We do NOT have a dedicated fact-checker looking at documents posted on The Smoking Gun website and looking for inconsistencies between the documents and what is said/heard in court. We leave that to the lawyers or the folks at TMZ. That’s why they are paid the big bucks. Repeat: T & T is a group of writers who enjoy observing and writing about the criminal justice system. NONE of us are paralegals or attorneys. One of us happens to have a background in health care and journalism (me). If you are looking for perfection, go buy the court transcripts. To aid in keeping track of the various prescription drugs that are part of the Michael Jackson case, I’ve whipped up a little “drug cast of characters” list. Because Sprocket is in an overflow room with poor audio, and at times it’s very tough to keep up or hear the difference between lorazepam, diazepam, and midazolam—and the three are different drugs—here are generic and brand name medications that have been mentioned in the trial thus far or appear as part of the record. Generally speaking, when using a generic name, that word is not capitalized; brand names are. Note that this is not 100 percent inclusive as I have not scoured the Internet for every single scrap of information on this subject—my sources are Sprocket's ears and The Smoking Gun. 1. Flomax (generic tamsulosin): for benign prostatic hypertrophy. Note to readers: Last time this will be addressed—This is what Sprocket’s ears heard. I will include it because she has heard hydrocodone a couple of times. 8. Lidocaine cream (xylocaine): topical analgesic (probably used to numb the skin for IV insertion). Note that the investigator calls it “lotion” but it is in fact stored in a tube and is thicker than a lotion, hence it’s actually a cream. 9. Benoquin (monobenzone): Depigmenting lotion used to treat vitiligo. 12. midazalom (Versed): Reduce anxiety, promote amnesia for surgical procedures. 11. Propofol (Diprivan): Intravenous sedative/hypnotic used for general anesthesia. 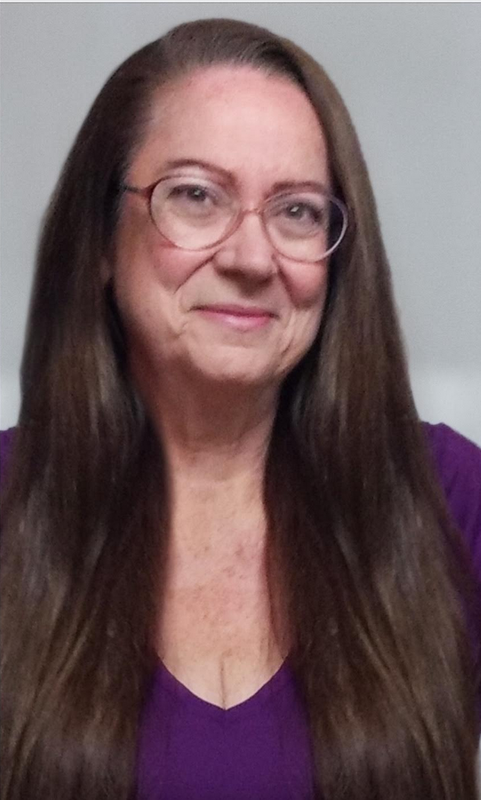 From Investigator Fleak’s report, Dr. Murray was the prescribing physician for the diazepam, Lidocaine lotion, lorazepam, temazepam, and Flomax. (Yes, I ask, why was Dr. Murray prescribing the Flomax and not a urologist?) Dr. Metzger prescribing physician for clonazepam and trazodone, and Dr. Klein was prescribing doctor on another, I presume the Benoquin as Klein is known to be Jackson’s dermatologist and Benoquin is used for vitiligo. Do not know prescribing doctor for hydrocodone and tiziandine. However, it makes sense Jackson used these; he had facet disease (arthritis) in his lumbar spine and that can be quite painful and muscle spasm-inducing. 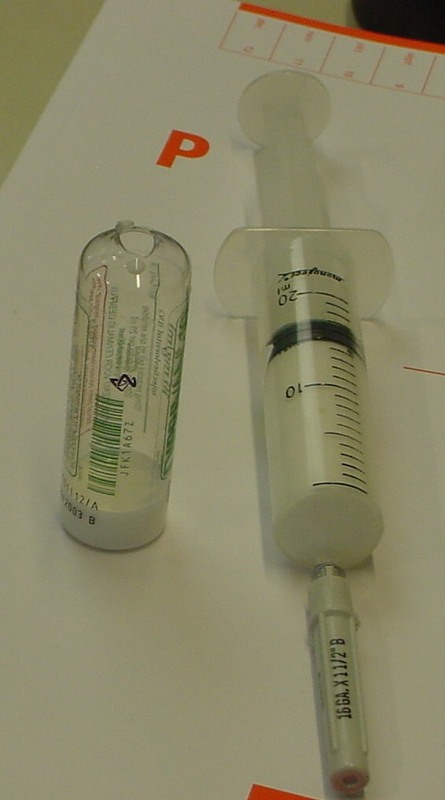 Flumazenil (in syringe). This is the medication that would have been used to reverse the effects of the many benzodiapezenes Jackson was taking/had been given. I wonder if this was the drug Murray produced in a blue hypodermic syringe with a small-gauge needle as testified by firefighter/paramedic Blount (a drug that the paramedics didn’t administer, and Murray did not identify to them)? Note regarding the ephedrine, caffeine and aspirin capsules: Ephedrine has potential for abuse as a stimulant. The fact that the body has cleared the ephedrine and it is found only in the urine means he’d been given the dose(s) some time before (half-life 3 to 6 hours, so administered at minimum over six hours prior to death as none was found in blood). Also note one side effect is difficulty urinating… and that the drug should be used with caution in a patient with prostatic hypertrophy such as Jackson. I have not included any "code" drugs. Also note that just because a medication is NOT listed in the toxicology results does NOT mean Jackson wasn't using/taking it. In all likelihood, it means it wasn't tested for because it would not have been thought to be a contributory factor in Jackson's death. Note on autopsy report, page 18, that tox screen “C” was requested, and there are other choices including H, T, S and O, along with alcohol only or carbon monoxide. It is a bit cost-prohibitive to ask a lab to screen for everything under the sun, though it is entirely possible this has been done as part of the private autopsy and presumably private lab testing. It would have been totally acceptable for Jackson to require something for pain with his bad back a la the hydrocodone and/or the tiziandine, or even Valium or Ativan for muscle spasms, following vigorous exercise such as dancing and performing. Knowing if he took his Flomax every day has no bearing whatsoever on the cause of his death. There are bigger fish to fry in this case, and pettiness in the comments regarding what is heard in open court by a non-professional reporter and what is contained in the volumes of documents, official or otherwise, will not be tolerated. Don't forget the crime in this case and who the criminal is—Michael Jackson is not on trial. He has already been held before a higher court. This is about a doctor who was very negligent in his duties toward a patient, and this would have been a crime even had a lesser-known or non-celebrity person died. I think the other very sad thing here is no one was looking out for Michael Jackson's best interests. No one, not a soul, even Jackson himself. This is a terrible example of a dangerous collection of drugs being haphazardly kept in a private home, and it is a miracle that if this was the usual for Michael Jackson, he should have been dead by misadventure years ago. Very sad. CaliGirl, wonderful compilation and overview of the pharmacological soup found in MJ's bedroom! As an anesthetist, I'd like to say that there was enough meds documented in that room (not including what Murray carted out surreptitiously) to put down several elephants! I commented before that this reads like the med room inventory of an anesthetizing location in a hospital! If I may, I'd like to add a couple additional clinical and medication facts. First, from a clinical standpoint, there are 2 ways that respiratory arrest can occur in heavily medicated situations such as was occurring in MJ's bedroom. The "obvious" is a respiratory arrest induced by "too much" medication, which produces central nervous system depression (ie, the body doesn't even try to breathe). About 3-5 minutes later, the heart will begin to experience abnormal rhythms due to oxygen deprivation and carbon dioxide accumulation, which deteriorate usually to profound bradycardia (very slow heart rate), and then, with no intervention, the rhythm will become agonal, and deteriorate further into asystole (flat line). The treatment is appropriate positive pressure (ambu bag and high flow oxygen) support, +/- advanced airway measures such an a breathing tube & mechanical ventilator, reversal of any reversible drugs, and support of BP and heart rhythms until such time that the meds wear off. The second type of respiratory arrest occurs from airway obstruction in a heavily medicated unconscious patient, which can be due to a "mostly appropriate" amount of depressant drugs, before an accumulation of drugs sufficient to shut down the respiratory center in the brain. This is as simple as observing "snoring" type respirations, as the upper airway relaxes and the tongue occludes the airway. A simple repositioning of the head or a finger beneath the jaw can relieve this type of early respiratory depression and abnormal respiratory pattern IF it is observed by a clinician who knows what to do. (In addition to airway support with supplemental oxygen and a high flow mask or an ambu bag.) A very common error inexperienced clinicians make when giving sedation for procedures is that they think snoring equals an effective level of sedation, when in fact, snoring indicates an obstructed airway, and impending respiratory arrest. With an obstructed airway arrest, the chest moves in a paradoxical way, with obvious chest and abdominal muscle use, as the body tries to breathe against the obstruction. If not corrected, the heart begins to beat faster (tachycardia from hypoxia and catecholamines released), followed by rapid rate abnormal rhythms, which deteriorate into bradycardic (slow rate) rhythms, agonal rhythms, then asystole (flat line). The treatment here is to intervene early with airway and positioning support, back off on the drugs, support BP and heart rate as needed, and possibly reverse any reversible meds to restore adequate ventilatory efforts. Advanced measures, such as intubation and positive pressure ventilation as needed. Almost no one recovers once aystole occurs, no matter why it occurred. It is indicative of a very advanced state of cardiac arrest. As far as the Romazicon (flumazenil) noted, it was FAR too little too late. Romazicon would only have reversed the benzo's (valium and versed, and whatever other benzo's he had onboard.) Romazicon does not reverse propofol-- there is no reversal agent for propofol except a tincture of time! As to the ephedrine in MJ's system, it is possible from the half life that it was given as an oral dose as a pre-treatment to the propofol sedation sleep Murray had planned, as a pre-emptive measure to support his BP and heart rate while sedated deeply. The half life and presence in the urine could be a dose given for "energy" late during rehearsal, or as pre-treatment at bedtime. I have more comments, but better do a second post so it isn't too long! Thanks for the opportunity to post here. Ok, shorter and sweeter this time! To emphasize: Romazicon (flumazenil) only works when there is EFFECTIVE CIRCULATION. (MJ was flat lined when Murray presumably trotted out the Romaz.) Second, an overdose of benzo's usually requires multiple doses of Romaz to reverse, because the benzo's often have longer half lives than the reversal agent. *Propofol has no reversal agent. The most difficult and dangerous anesthetic there is to give is a "breathing general anesthetic" or "deep sedation" with a spontaneously breathing patient. The line between effective ventilations and apnea is ALWAYS razor thin, and requires CONSTANT vigilance to ensure patient safety. 1. There was no infusion control device in the room. Murray was "free-dripping" whatever he was dripping. Very imprecise-- the IV can speed up and slow down very unexpectedly, and requires constant tending and observation. 2. There WAS a finger pulse oximeter probe present that was NOT in use-- it was in a case in the closet! 3. There WAS an oxygen tank, NC, and ambu bag noted in the room. None were in use. Enough comments for tonight! Thanks for the opportunity to comment! Back when I was still practicing nursing, a fine CRNA taught me how to administer Versed for ER use. I was instructed to keep the patient talking, to push very slowly and at a port close to the patient, and the instant the patient's speech slurred for the fist time, STOP. I recall an ER doc just pushing a full dose of Versed for a patient with a dislocated shoulder, and the patient went down, gave one snoring gasp, and stopped breathing. I ended up bagging the patient because the doctor did not know how to intubate! Eventually I learned HOW to just in case another physician put me into a bad situation like that. All patients were put on a cardiac monitor and a pulse oximeter was applied, even if the doctor thought that was excessive. I like your thinking about the possible role of ephedrine; I was thinking more along the lines of what major junior hockey players used to do with cold tablets containing ephedrine—take a small handful as an "upper" prior to a game. Remember the "incident" of Jackson being ill on the 19th, and the "summit" on the 20th and how Jackson was plenty peppy afterwards? Can you imagine working in such confusion, vials strewn about anywhere and everywhere? I commented on an earlier thread that I thought Murray was keeping MJ pepped up after the big summit on the 20th. However, the reason the ephedrine caught my eye is that that is an "old" anesthetic technique-- give IM ephedrine in advance of any technique known to tank BP. (Used to be done commonly as a pre-treatment for spinal anesthesia for c-section, but no longer recommended). If Murray learned his anesthetic technique from an "old" anesthesia clinician, he could've been advised to pre-treat with oral ephedrine for a longer duration of action over IM or IM ephedrine. For someone abusing ephedrine, 14 capsules isn't a lot of supply. And a breathing general/ deep sedation is the most dangerous anesthetic someone can give or receive. Requires strict, constant vigilance, and experienced skill-- neither of which Murray evidenced. Lapsed attention or attendance = mishap. Quite a travesty that Murray can only get 4 years if/ when convicted. Not much of a deterrent. And yes-- absolute chaos in that bedroom. Murray was completely untrained in how to BE organized when administering drugs/ sedation/ anesthesia. He was/is a cardiologist, for pete's sake not a surgeon or clinician. Cardiologists work in a clinic setting, not an acute care setting. His skills are less than a nurses' in this respect.IMO. Disgusting that an MD can be a license to give "any" drugs they want, legally. He would not have been credentialed to give these drugs in ANY hospital. Just keep doing what you are doing Sprocket. KZ, I had forgotten about the old ephedrine trick; I do remember back in nursing school doing those stupid drug cards and that being a use, but the nursing instructor said there were better drugs to do those things. Hence, a dangerous old-timers' trick, like you wrote. I agree that the worst this so-called physician, sworn first to "do no harm,"is facing only 4 years in prison at worst! Not because of the person whose life was lost (all living, breathing humans are equal, from you and me to even the biggest of celebrities), but because of the harm Dr. Murray has done to the medical profession and ethical, conscientious practitioners. I really think dispensing laws are pathetic and very misguided. My own spinal surgeon is afraid to treat me with more than 4 DS Vicodin a day when my facet pain is out of control and I am awaiting approval for multi-level neurotomies; when I had my most recent facet block, the spinal diagnostic center no longer could or would use propofol for sedation (I've had it too many times to count for minor surgical procedures). The procedure, a three-level bilateral rhizotomy, was hell, and I was kept on the table with Versed and fentanyl. I remember it all, not a minute of amnesia. Thank you Conrad Murray for taking a good drug out of safe doctors' and surgicenters' hands. Yet Conrad Murray was ordering potent benzodiazepines left and right, from his clinic in Nevada, and then shipping to California, delivering those drugs to a private apartment! No controls as to amounts, no state oversight board asking why he needed those drugs in those quantities when all he had was an office or two, NOT his own little cardiology suite. The laws need to be changed, but I do not trust lawmakers to do it. There needs to be input from pharmacy, physician and even BRN to help write a law that puts better control on dangerous drugs, and that puts some teeth into punishment for gross abuse or negligence. We will see what the coming week brings, I'll chat with you then! Thank you. Sprocket works very hard and tirelessly to do this, and we all appreciate your kind words offered without criticism. Isn't this whole thing sad because Michael Jackson had no one advocating for his good, for his benefit, for his health? So many people wanted a piece of him, he was a cash cow to everyone—the concert promoters, Dr. Murray, and even his parents and some siblings (not including his kids; they'd have loved their daddy if he'd lived in a modest house in the San Fernando Valley!). If only he'd thought logically about the dangers of what he was doing/asking others to do to him, and what the worst possible consequences were—and the worse ends up realized. If only his children had been a bit older and had been able to "stage" an intervention! I understand the Jackson family had done just that before, but perhaps he'd have listened to Prince and Paris and Prince II (I refuse to call the kid Blanket). Maybe MJ's insomnia would have been highly treatable by a sleep specialist? We will never know. Great job by both of you. It's not easy covering a trial under the best of conditions. We appreciate your work. My daughter had surgery a few months ago and I was with her until they put her 'under'.. when the anasthesiologist brought out the propofol I freaked out! They had to assure me that it was a wonderful medicine if used in the right setting and that my child would be fine. They talked to me a little about this case and said even they were shocked and have never heard of anyone doing something like this before.. I was more scared about them using propofol on her then the whole surgery itself.. thanks Dr.Murray! Thank you KZ and Caligirl for your comments, it's great and very helpful to read your point of view. Don't blame the propofol-- blame the "doctor" who provided it. Propofol is an amazing drug that has revolutionized anesthesia and sedation. The problem is the drug in the WRONG hands-- not the drug itself. It's used safely millions of times a day in this country, and has revolutionized outpatient surgery, allowing us to do cases that were impossible before propofol. Unfortunately, it has also become a drug of abuse, and often the first and only sign of that abuse is death. Clinicians have been found dead in call rooms with propofol infusing, at their own hands. It's a real problem for our profession. Re. the Hydrocodone, is it possible you misheard only this is the first time we've heard of this being found in Michael's room. There is a skin cream used for vitiligo called Hydroquinone - could this be what you heard instead? They do sound very similar. Thanks. For KZ and CG - would love to hear your speculation on how the propofol and lidocaine might have gotten in MJ's stomach, other than perhaps lab mistake? Thank you Sprocket, Caligirl and KZ for a very interesting read. I'm so glad that we have intelligent people in the MJ family who can educate and enlighten us on these type of topics. It is very much appreciated. Caligirl9, you are entitled to your views but Michael Jackson is not on trial, Conrad Murray is. I do appreciate the reporting from the courthouse and all the work that goes into editing and hope it continues. As you know prosecutors are arguing that Murray was on the phone with one of his girlfriends when he discovered Michael in trouble. That girl friend testified that she heard a commotion, mumbling and coughing that didn’t sound like Murray. Assuming the one coughing is Michael what does it mean? Does it mean he was waking up and Murray rushed to give him an injection of Propofol? Or could coughing be sign of being in trouble? or anything else? KZ--I have to say that IMO it was Murray who, by all means, provided the "pharmacy". If you omit the items provided by Murray, almost all of which were IV and could be used on an unconscious patient, even against their will if sedated, then you do not have much left and certainly then I would not call what was found "a pharmacy". Most drugs NOT provided by Murray were not even for sedation, and those benzos listed were for nightly use only (but apparently not used nightly). The levels for Versed and Valium reported were so low that they were no longer pharmacologically active. The only benzo active was Ativan, and at a very, very high level. The level of propofol found was equal to one being sedated for major surgery--totally comatose and needing respiratory assistance. Concerning propofol alone (not considering Ativan) then usually people do not die from bolus injections of propofol, even up to 200 mg. In other words, they do not die from an "overdose". Most people recover from the apnea, if healthy. Most who die from bolus abuse (gathered from reports of deaths from self-injection) die from too rapid of injection leading to almost immediate cardiac collapse and arrest rather than the process in which you described. However, considering the Ativan in place, I do think Michael first went through respiratory depression, then arrest, then cardiac arrest, etc. I am trying to determine if his blue hands and feet could have been from him being hypoxic for sometime, rather than suddenly anoxic, from the massive dose of Ativan in combination with his lung disease. Or, was this something post-mortem? I just wanted to add, Murray had no means to provide Michael with positive airway pressure. The ambu-bag was provided by paramedics. It is appalling that someone, a doctor, would be willing to "treat" a patient with all these meds, without warrant or reason, yet not even be prepared to handle what was basically inevitable--to stop breathing then die. I also wanted to add, the ephedrine was in capsule form, not IV, which I assume IV would be best to use to keep BP up. It seems he was taking it for rehearsals or maybe to combat the effects of the drugs given at night, but taking them in the morning to try and knock that hangover from benzos. The urine actually effects the half-life of ephedrine. Aspirin came back negative on the toxocology screen so I assume it has been some time since Michael took the ephedrine (perhaps the morning of the 24th). I wonder if he knew he was taking this at all--Murray was going down and getting Michael's breakfast and I doubt Michael would be able to obtain this illegal dietary supplement on his own. I figure Murray got it for Michael considering what else he got him and from where, a pharmacy that has already had run-ins with the law. Pretty disgusting that a cardiologist would provide someone with a supplement that causes heart attacks and strokes. I am not sold that Murray was "free-dripping" propofol, at least, not gravity--I think he was bolusing into the small Y tubing, and bolused a lot more than just 25mg, or even 25 mL for that matter. I am still debating on whether he gave the benzos IV or IM. Some say Michael was awake and self-injected. Not only was this physically impossible, but seeing his Ativan levels I say he was sedated heavily, and now hearing what condition that room appeared, I'd think if Michael was awake, he'd ran out. So far only one receipt has surfaced--is there any way to know if Murray ordered this one-time supply in May or what? "resuscitative transmural hemorrhage of stomach" from the coroner's report, page 11. @Linda: T&T didnt misunderstand..Benoquin, the cream that contains Hydrochinone was listed seperately. Another question, is it medically possible that excessive use of Benoquin can trigger Vitiligo as a side effect? I think this is part of the defense's theory, which if you really think about it, is a red herring. Point of this whole case is lack of proper use and technique of potent medications that had no place in a home care setting, and a physician abandoning an unconscious patient to go flirt on the phone with a girlfriend. Is it possible that MJ, desperate for sleep, and very ignorant of how drugs worked, methods of administration, etc. "could have" taken a syringe of propofol, already combined with the Lidocaine, and figuring "If it's safe enough to inject into my veins, why not eat the stuff," shoot a syringe full of meds down his own throat? Remember, the bedroom was chaos; there were vials of medication strewn about as haphazardly as used kleenex. There was plenty of stuff found on the nightstand, easily within MJ's reach. KZ has commented on how irresponsible it is to be disorganized when using potent medications. I defer to KZ regarding the ability of these medications being absorbed in the gut... or if that could be the source of administration of the large dose that Dr. Murray denied giving. 150mg is considered an appropriate induction dose for someone MJ's weight (136lbs). The blood propofol level at autopsy was within the therapeutic range for someone receiving a bolus induction dose. Can we deduce therefore that MJ was not given a dose of propofol that on its own would be considered lethal? If he had received a dose of propofol that was outside what is recommended for MJ’s weight/age, wouldn’t the blood levels fall outside the therapeutic range? This article http://www.anesthesia-analgesia.org/content/108/4/1182.full.pdf+html seems to suggest that it is possible for someone to administer an appropriate induction dose of propofol, without any breathing assistance, and still be OK. What is considered to be dangerous is the rapidity of the injection, “A very rapid injection of a normal dose can cause prolonged apnea, extreme hypoxia, and hypotension. Such episodes that would be easily treated in the operating room may be fatal to propofol abusers who wish to commit suicide or to others who accidentally administer propofol too rapidly”. Is it possible that MJ died from either 1) a normal dose of propofol delivered at the correct speed plus benzodiazepine effect, or 2) a normal dose of propofol delivered too rapidly plus benzodiazepine effect? Would you think it was possible for a normal dose (150mg) delivered properly plus the benzo effect to kill someone in this case? It should also be stated that the capacity of each syringe found was 10ml. So the maximum MJ could theoretically inject at any one time is 100mg, which if i’m correct is not enough to kill someone. KZ - Could you confirm that an injection of 100mg propofol (swift or not) plus the benzos that were in MJ’s system would not be sufficient to kill him? Would you also be able to determine if someone with those blood levels of Lorazepam would be sedated? Do you know if it is possible to establish someone’s level of tolerance to benzodiazepines, after they have died? Would hair samples yield any results? What that means in practical terms is that if I go to anesthetize someone who uses (legally or illegally) any substances regularly (especially including beverage alcohol) that induce the cytochrome p450 system, they will still be talking to me after one “stick” of propofol. (A “stick” of meds is slang term for an appropriate size syringe full of whatever.) A typical stick of propofol is 20cc—that is what most of us have drawn up for general anesthesia induction for healthy adults. I am not as knowledgeable as some here about the tox screen and lab results from MJ’s autopsy, but I will say that it is my opinion that MJ was no stranger to injected benzodiazepines and propofol. Those alone, in the absence of any other meds, would be sufficient on a daily basis to rev up his liver clearance such that it took increasing amounts of such meds to achieve a therapeutic (ahem: unconscious) state. Not sleep—sleep is different than unconsciousness, btw. To the commenter who said the paramedics left behind the ambu bag—that seems highly unlikely to me. They were coding him as they left the home. He was intubated at that point. They would have removed the mask from the bag, and had the bag attached to the ET tube, squeezing the bag to breathe for him. Paramedics are not likely to leave their ambu bags behind, IMO. Paramedics aren’t panicky or disorganized at these kinds of calls—they are highly trained, highly organized professionals of the highest caliber. IMO, Is 100mg of propofol enough to kill MJ? Nope. Enough to cause respiratory arrest if bolused, on top of a bunch of other meds? Yup. However, a resp arrest in this scenario would have been easily concealed by bagging MJ with O2 until he woke up 10-15 min later. Oh, and supporting his BP, etc. But he would likely have lived. Addicts are actually very hard to kill. Bolus and walk away, say, to make some phone calls? Yup, that is a recipe for disaster. Propofol InfusionTechnique Hypothesis: I think Murray was using “thumb boluses by syringe” in the y-site of the tubing, as well as potentially injecting propofol into the NS bag that was hanging. There was a milky white liquid pooled in the bag bottom reported by someone (the security guard that responded?) Murray also could have been intentionally “retrograding” the y-site bolus up towards the bag, as a poor man’s infusion control technique. To do this, you pinch off the tubing below the y-site, inject the propofol up the tubing, unpinch the tubing, and adjust the roller clamp to drip at whatever rate you want. When this is done, sometimes meds retrograde into the bag near the spike. This is assuming the tubing did not have anti-reflux valves. Retrograding is a very old technique—many IV tubing sets are designed now so this can’t occur. I noted before that no 100ml vials spiked with piggyback tubing were described, so I don’t think that Murray was spiking a bottle and piggybacking it into the NS line to free drip. Even Murray couldn’t be THAT stupid! Hope this helps! Gotta hit the sack! Does anyone know if the IV bag Alvarez and Fleak described had a milky liquid in the bottom of the IV bag OR if the milky liquid was in the bottle at the bottom of the IV bag? The long section of IV tubing contained no traces of any drugs. The IV bag also contained no traces of any drugs. The AR mentions that liquid retrieved from the long tubing and IV bag was clear. So if only the short section of tubing was used (this had traces of propofol/lidocaine/flumazenil), how can that be used in a drip situation? If someone could post a diagram of how this might be set up that would be helpful, if indeed it is possible to set up a drip with that. According to the toxicology report, the concentration was extremely low. It has been explained to me be a toxicology specialist that this is consistent with the post-mortem diffusion of drugs from the circulatory system to various organs. If the autopsy blood levels indicate that more than 100mg propofol was administered, and 100mg is the maximum MJ could inject, then that proves that MJ did not self-administer propofol. I deleted then amended the following post. In a self-injection scenario, the patient obviously has to be awake. If MJ was awake - as Murray suggests - then the benzos were not sedating him. If he injected himself with 100mg propofol at this point, the 'benzodiazepine effect' would be minimal/negligible because he is awake and you stated that 100mg propofol itself would not kill. KZ, is that a fair analysis? Re: "Is it possible that MJ, desperate for sleep, and very ignorant of how drugs worked, methods of administration, etc. "could have" taken a syringe of propofol, already combined with the Lidocaine, and figuring "If it's safe enough to inject into my veins, why not eat the stuff," shoot a syringe full of meds down his own throat? Remember, the bedroom was chaos; there were vials of medication strewn about as haphazardly as used kleenex. There was plenty of stuff found on the nightstand, easily within MJ's reach. KZ has commented on how irresponsible it is to be disorganized when using potent medications." I don't know whether to laugh at the absurdity or throw up from disgust at the suggestion of such a ludicrous scenario. Michael may have been a lot of things (eccentric, creative, off-beat, driven, unique) but he was not stupid. @Anon - I think the poster meant no deliberate harm in posting that, but yes it is absurd and i found it rather funny to be honest.